Earl set out on a path to a healthier lifestyle in 1985 by joining a local ATA Taekwondo club in East Mesa. 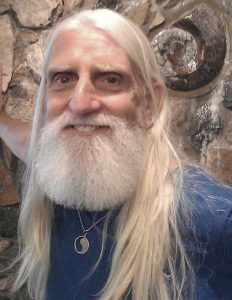 After achieving the rank of 3rd degree black belt and having his own school in Payson, AZ, he moved back to the valley to begin a new career in massage, graduating from Southwest Institute of Healing Arts in 1994. In 2002, Earle came back to SWIHA for more yoga and life coaching to begin with. Ana Lunaria, Jeff Martens, Cain Carroll and Michelle Dante were his instructors in the yoga program. Earle’s other favorite Instructors included Anusara Inspired, Christy Burnette, Desiree Rumbaugh and Yin Yoga by Paul Grilley (All time favorite instructor). He practiced chanting with Nicolai Bachman. Earle’s second most favorite teacher was Kamini Desai, with whom he earned a Yoga Nidra Certification. Brian Legare, with whom Earle earned his advanced level of Yoga Wall training, is another favorite. Earl loves to blend his massage and yoga into a combined self-healing art. He currently offers massage and Yoga Wall therapy to his clients. I currently am vice president of the Arizona Massage Board and on the policies committee for the FSMTB. I have a small practice with some clients that have been with me for 15 years. Teach classes for SWIHA with Deep Tissue, thumbless and Myotherapy being some of my favorites. I have a certificate in Hypnotherapy / Timeline™ also, Yoga Nidra and am teaching the upcoming elective for YIN YOGA this coming weekend.